Would you stay in a relationship with someone who abused drugs, made you sick, and had a history of animal abuse? If not, it’s time for you to break up with meat. Watch these videos to find out what meat is hiding—and why it’s time to kick meat to the curb. Then make a scene about your breakup using the social media links below. Why Did You Choose to #BreakUpWithMEAT? 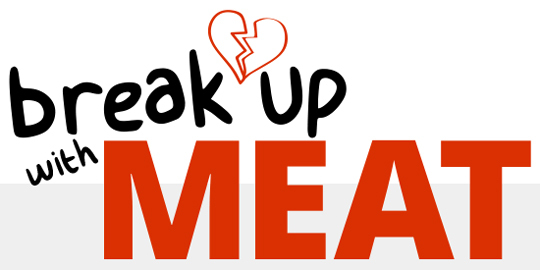 Share your reason for dumping meat by posting on Facebook, Twitter, and Instagram with the hashtag #BreakUpWithMEAT. Tell the world about your breakup.